The first finance minister of independent India was R. K. Shanmukham Chetty, who also presented its first Budget. Till that year in 1994, India had had 25 finance ministers since Independence in 1947 who have presented and passed in Parliament 83 Budgets — both interim and annual. Krishi Darshan (Agriculture Vision) is a television program on Doordarshan aimed at disseminating agricultural information to rural, farming audiences. It commenced on 26th January 1967 and is one of the longest running programs on Indian television. Recently, our Nation launched an electronic trading platform for farm goods to improve transparency in wholesale markets and help farmers fetch better prices for their produce. Prime Minister Shri Narendra Modi, inaugurating the platform, said it would trade products from 365 wholesale markets initially but aims to increase that to 585 by March 2018. "This initiative will usher in transparency which will greatly benefit the farmer," Modi said. "This scheme naturally benefits farmers, but it also benefits other stakeholders, and consumers. "Analysts have welcomed the new platform, though there are some limitations. For example, India has 7,000 wholesale markets and only 8 percent of them will use the trading platform. The term service means the act of helping or doing work for another or for a community etc. Thus its stands for assistance or benefit given to someone.Though ordinarily for rendering such service certain payment is made, it may not be so in all the cases. If one were to sit back and analyse, tax on services is not new as there have been taxes on services in past also in the form of luxury tax, entertainment tax, expenditure tax, amusement tax, gambling tax, commercial tax, interest tax etc. It may not be US or Australian way of governance; in any Welfare State, it is the prime responsibility of the Government to fulfill the increasing developmental needs of the country and its people by way of public expenditure. India being a developing economy is striving to fulfill the obligations of a Welfare State within its limited resources. The Government's primary sources of revenue are direct and indirect taxes. The Income Tax perhaps is not yielding as much as it should. Central Excise Duty on the goods manufactured / produced in India and Customs Duties on imported goods constitute the two major sources of indirect taxes in India. Side by side, services constitute a larger proportion of the consumption of the rich rather than of the poor as the demand for services is income-elastic. Depending on the socio-economic compulsions, each country evolved a taxation system on services adopting either a comprehensive approach or a selective approach. While most of the developed countries tax all the services with very few and limited exemptions, some of the developing countries tax select services only. Hitherto, India has adopted a selective approach to taxation of services. All that were to change on that budget day in 1994 when Dr. Manmohan Singh, the then Union Finance Minister, in his Budget speech introduced the new concept of Service Tax and stated that "there is no sound reason for exempting services from taxation, therefore, I propose to make a modest effort in this direction by imposing a tax on services of telephones, non-life insurance and stock brokers." It was introduced on the recommendations made in early 1990's by the Tax Reforms Committee headed by Dr.Raja Chelliah. Every Government since have believed that taxation is a major tool available to the Government for removing poverty and inequality from the society. To a common man, tax, surcharge or cess does not make any difference as all these modes of extracting money from the citizens have been used since many years. However, taxes go to common pool in Consolidated Fund of India, surcharge and cesses are specific purpose or end use levies collected along with or otherwise on incomes, goods or services. During the course of his Budget Speech on 29th February, 2016 Finance Minister's underlying objective and theme revolved around transforming India which encompass nine pillars and inter alia, include agriculture and farmer welfare with focus on doubling farmers income in next five years. Not only this, the thrust of tax proposals has been on measures to boost grounds and additional resource mobilization for agriculture, rural economy and clean environment. With Service Tax Rules 1994 firmly in place, the net gets wider ! In June 2015, service tax rate was increased to consolidated rate @ 14% of value of services provided or to be provided. Effective, 15th Nov 2015, Service tax plus Swachh Bharat Cess, became 14.5%. Budget 2016 proposed to impose two new cess namely Krishi Kalyan Cess (KKC) and Infrastructure Cess that gives additional burden to taxpayers (including individuals). It was also proposed to raise the incidence of Clean Energy Cess, applicable primarily on coal, lignite and peat from the current Rs 200 a tonne to Rs 400 a tonne. 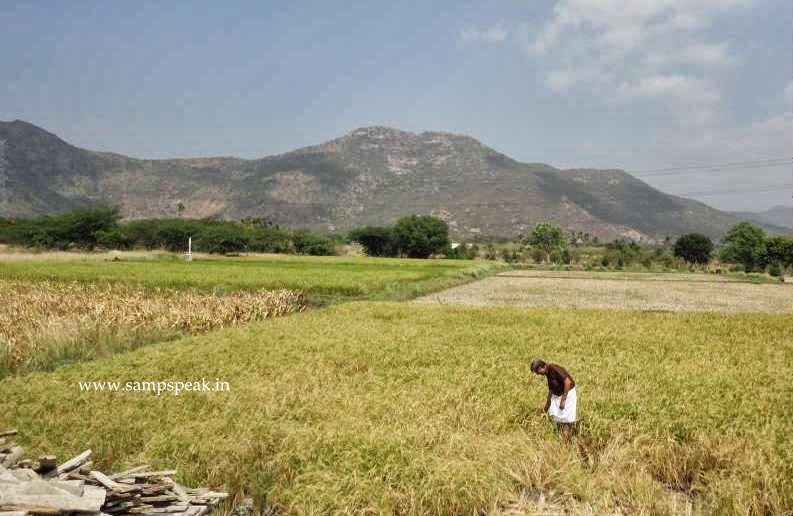 To finance and promote initiatives to improve agriculture, Clause 158 of the Bill seeks to insert new Chapter-VI so as to levy a cess known as Krishi Kalyan Cess (at 0.5 per cent) with effect from June 1, 2016 in addition to any cess or service tax. The levy of KKC on all taxable services will increase the service tax rate by 0.5 per cent viz., from 14.5 per cent (including Swachh Bharat Cess) to 15 per cent for all taxpayers. .. .. .. and it is applicable to Insurance premium also – which would become 15% - do check the renewal notices, if your Company has already generated them for policies renewable after 1st June 2016 !! .. .. the effective rate of the Krishi Kalyan Cess, however, will be lower than 0.5 per cent as the government will provide input tax credit for the cess, as against no input tax credit for Swachh Bharat Cess. For those new to input credit – those who charge service tax, naturally will have to pay such amount collected to Tax authorities, here they can take credit of similar tax they paid, adjust and pay only the balance. Tax and death are inevitable !